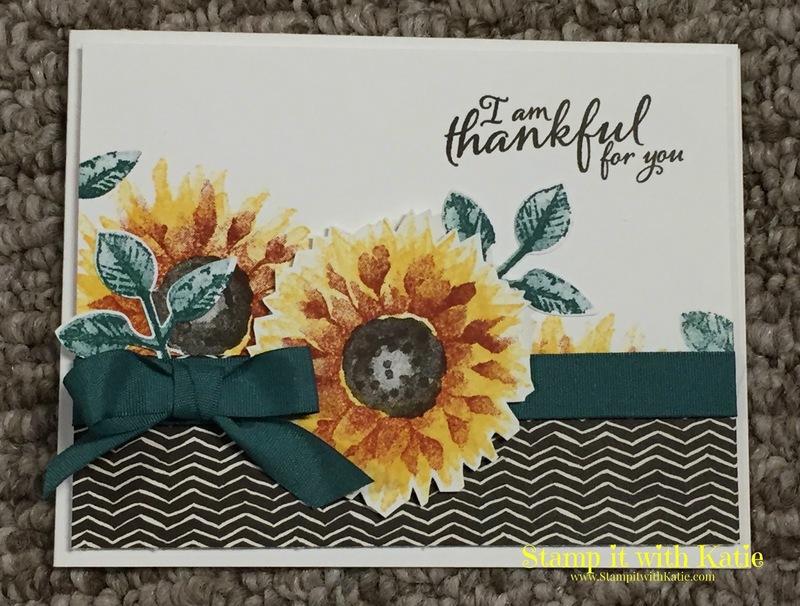 Today's card is a fresh look featuring the Painted Harvest stamp set. 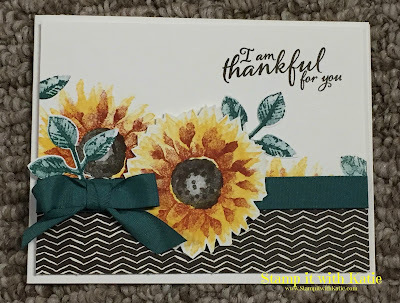 I love the look of the yellow and cajun colors, so I was looking for a way to incorporate them for a recent card club. Start with a base of Very Vanilla 8 1/2" x 4 1/4" , scored at 5 1/2"
Add a layer of Very Vanilla 4" x 5 1/4"
Stamp leaves on the background using Tranquil Tide ink. Now attach a piece of Painted Autumn DSP1 1/2" x 5 1/4"